Ubtech Robotics has announced a cool new robot toy, the Star Wars First Order Stormtrooper Robot and it comes with voice commands, facial recognition and more. 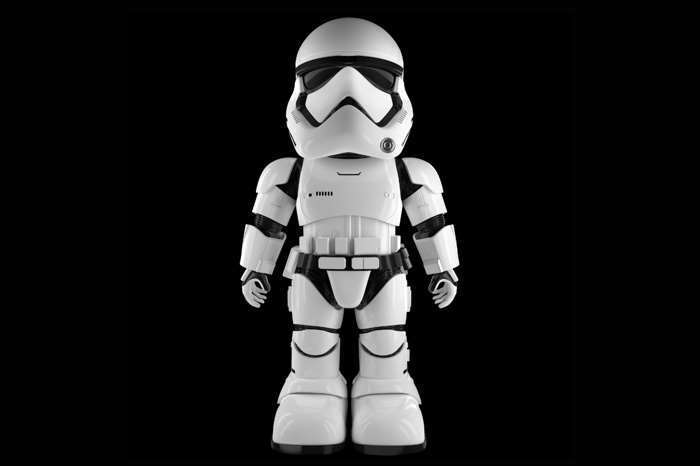 The Star Wars First Order Stormtrooper Robot can be controlled by your smartphone, there is an app for iOS and Android. The Star Wars First Order Stormtrooper Robot will set you back £299.95 in the UK and the devie is now available to pre-order from a number of UK retailers. These include Amazon, Argos, Dixons, Toys R US and more.